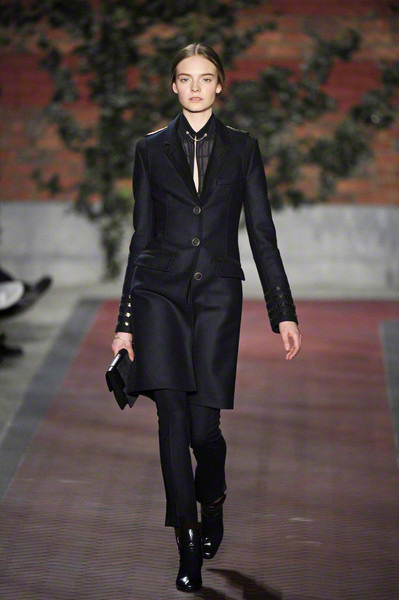 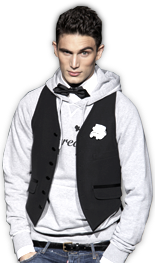 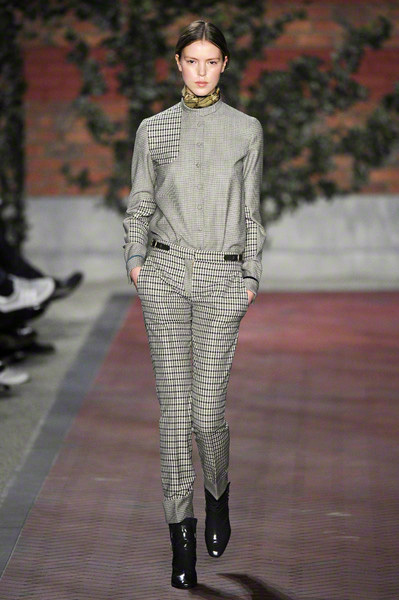 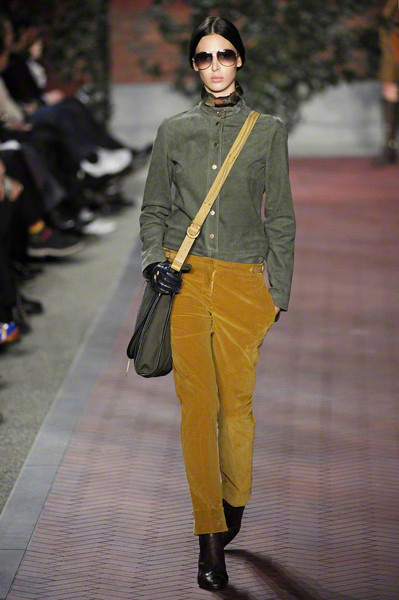 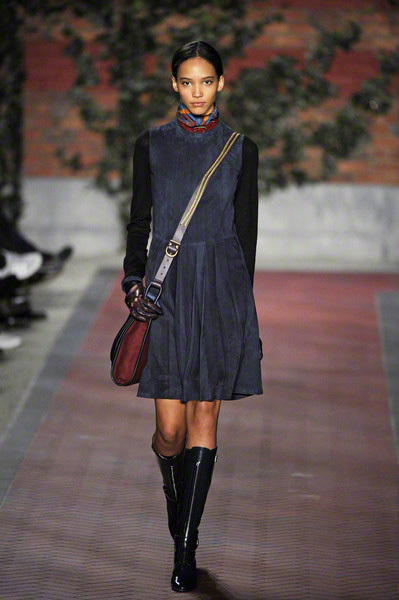 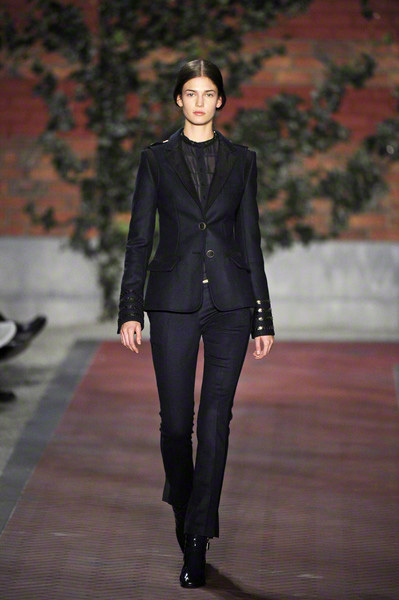 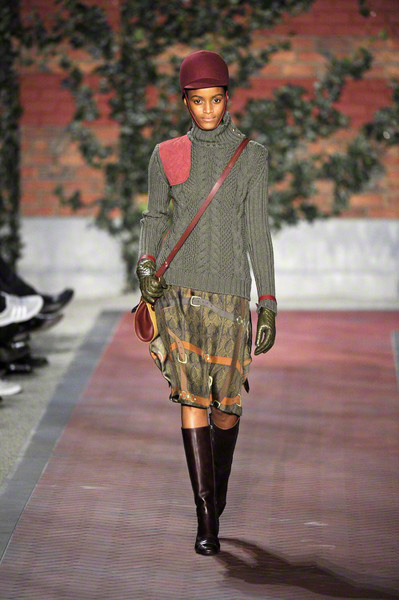 Town meets country, seemed to be the theme of Tommy Hilfigers fall 2012 collection. 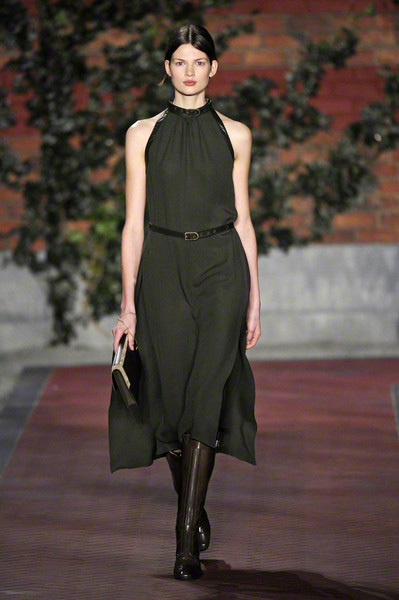 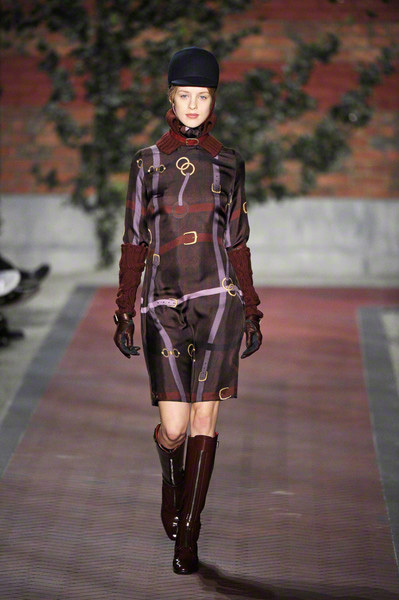 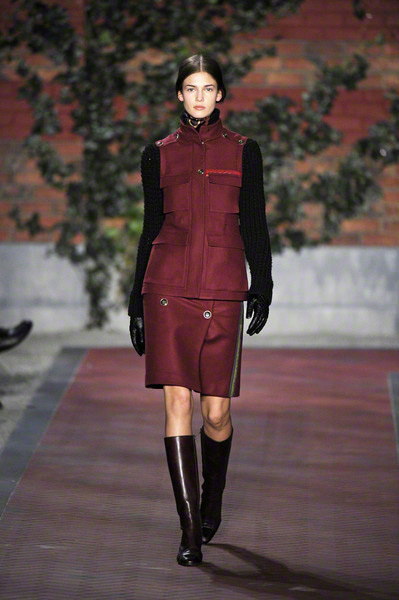 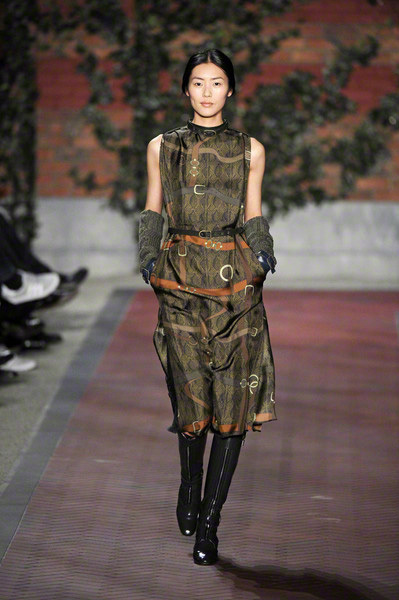 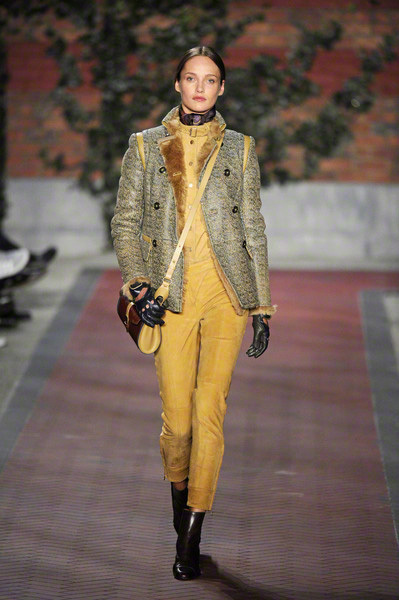 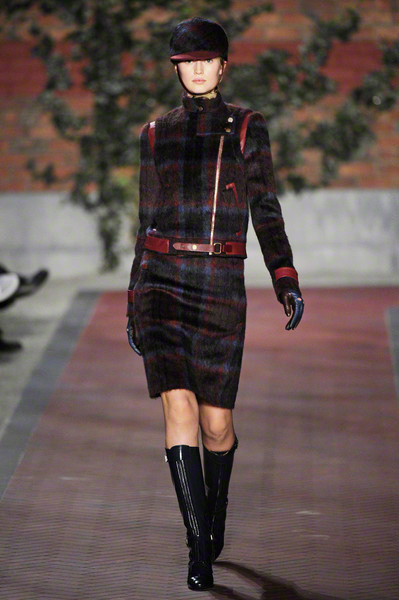 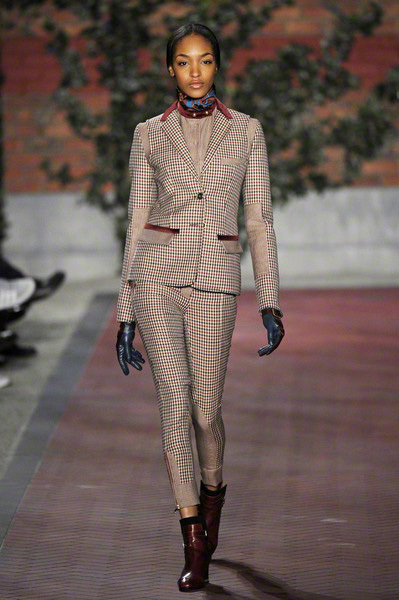 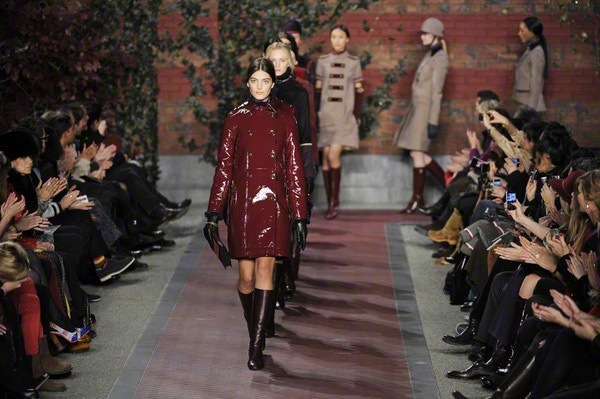 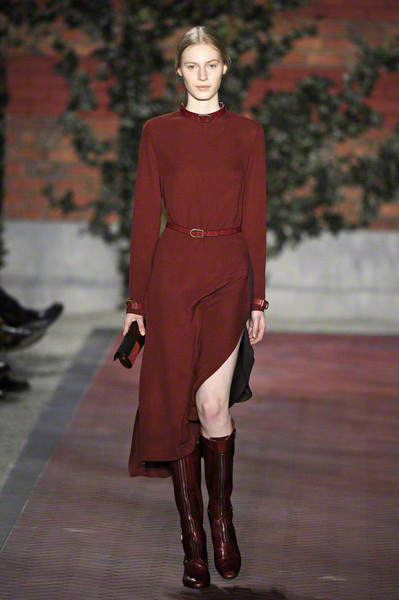 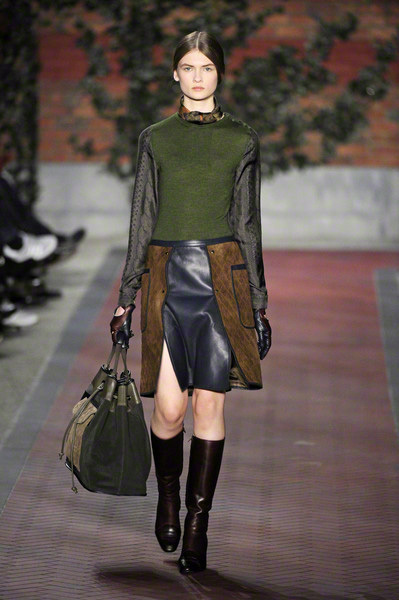 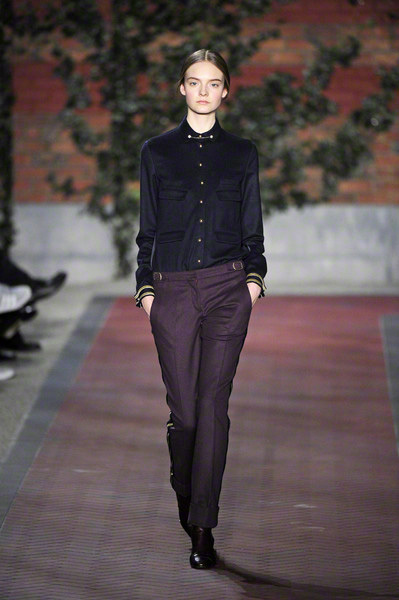 And it proved to be a strong lineup of polished silhouettes with equestrian and military touches rendered in warm, fall hues like burgundy, brown and forest green. 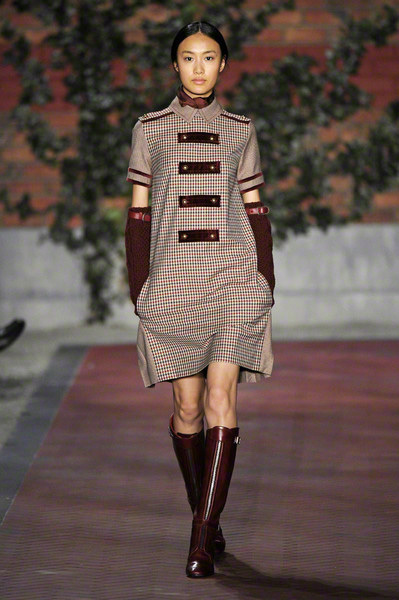 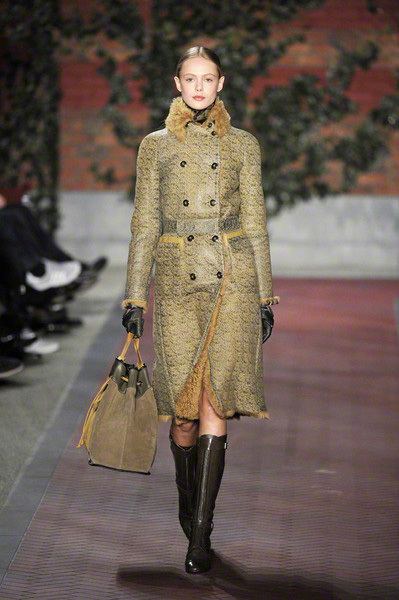 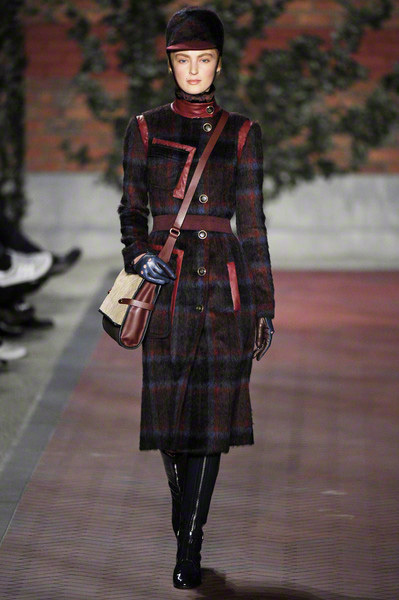 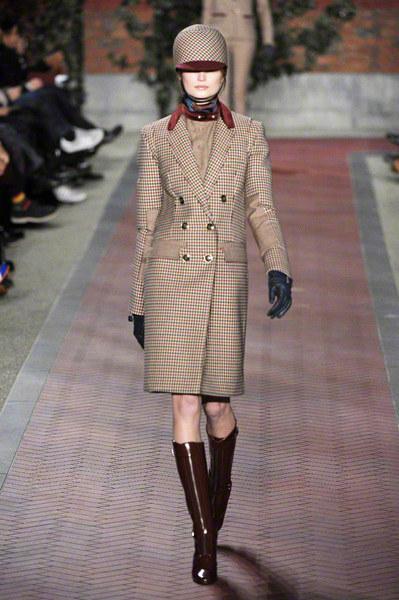 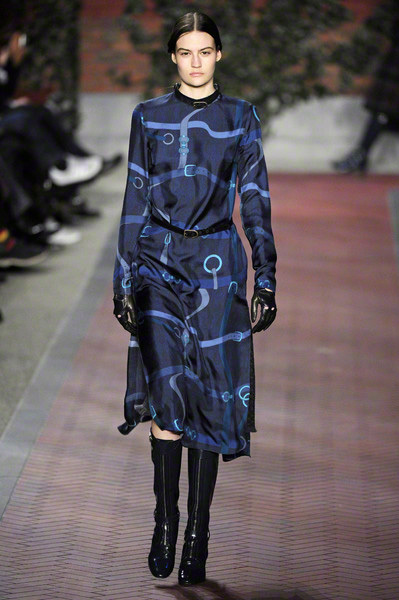 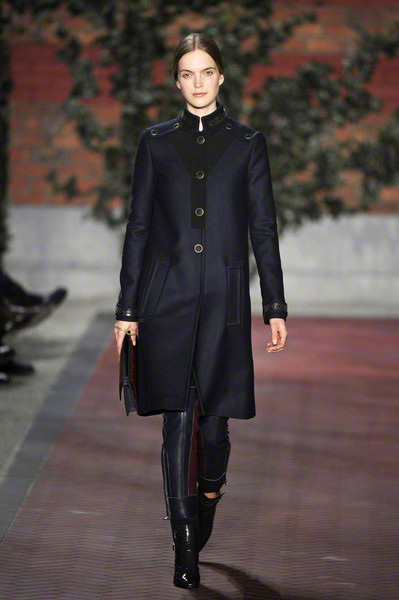 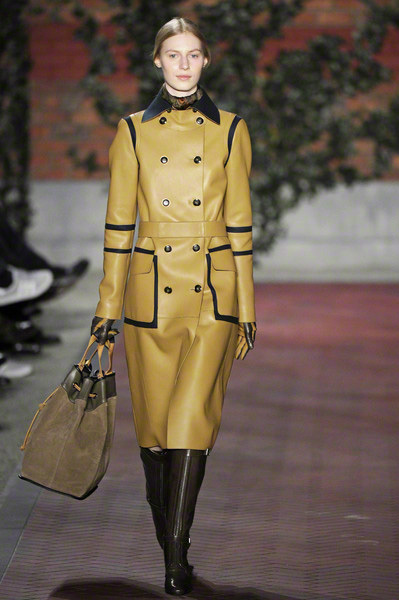 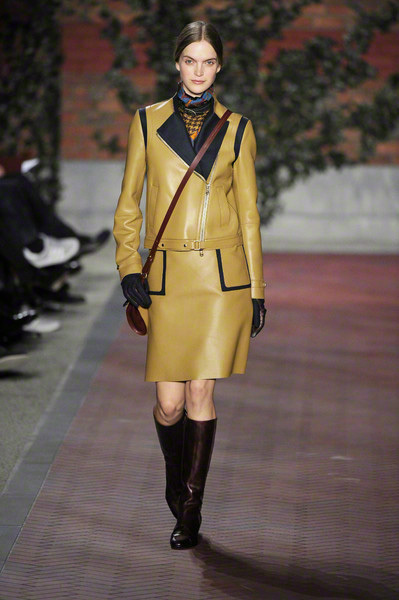 There was lots of outerwear, including riding coats, a leather trenches, a double-breasted patent leather one and a houndstooth coat with vintage appeal. 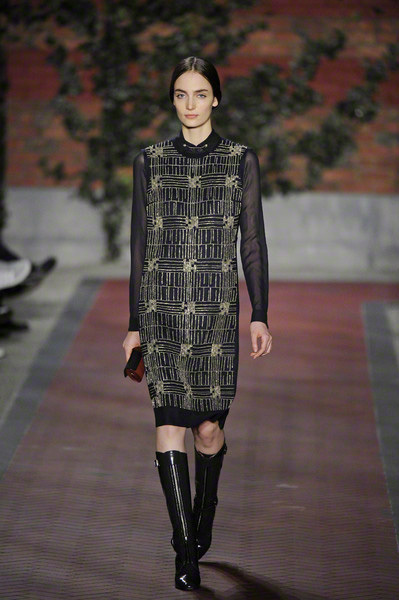 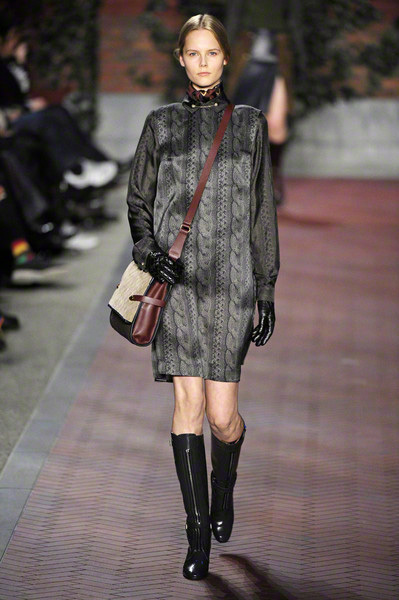 Cable knit was another point of interest, which Hilfiger translated as a print on a loose fitting dress. 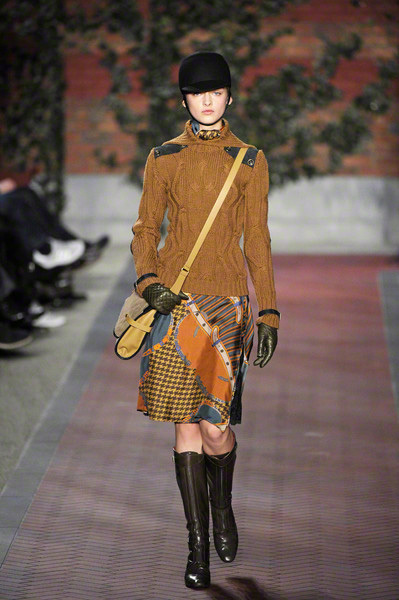 There were other riding motif prints (on silk halter dresses, blouses and skirts), as well as quilted suede jackets and skirts.